The small industrial and pub breweries, craft breweries, micro breweries are our main products. We produce and offer the breweries designed as several different systems with different equipment, production capacities and purposes to use. Simple nano-breweries with infusion wort brew machine for beginners, home brewers and starting craft breweries. Production capacities from 10 liters to 10 hectoliters per each brew cycle. Simplified micro breweries to production beer from wort concentrates. Production capacities from 300 liters to 10 hectoliters per each brew cycle. Interior breweries for restaurants with Czech classic luxurious design to production beer from malt, hops, water and yeast. Production capacities from 300 liters to 10 hectoliters per each brew cycle. Compact simple micro breweries to production beer only from wort concentrates. Production capacities from 300 liters to 10 hectoliters per each brew cycle. from malt, hops, water and yeast. Production capacities from 300 liters to 10 hectoliters per each brew cycle. Modular breweries that consists of several compact modules, with easy and quick installation and start up . Production capacities from 3 up to 10 hectoliters per each brew cycle. Industrial small craft breweries equipped with ergonomic TRITANK wort brew machine. Production capacities from 10 up to 100 hectoliters per day. Industrial breweries equipped with powerful six-tank OPPIDUM wort brew machine. Production capacities from 10 up to 300 hectoliters per day. Are you thinking about your own Brewery ? Visit us in the main business office in the Opava city or order your visit in our production plant for the breweries situated in the Prostějov city, Czech republic. We can show you all operations of the production, work of our welders, brewing technology in their production process, quality of our work in details and many our products that are made already and prepared to expedition as well. You have an opportunity to see our production quality and technology first and decide about purchasing the brewery technology for your projects just from us later, if you want. Brewmaster is very simple beer production system that includes the brewhouse wort machine, the beer fermentation equipment and accessories. Capacity 10L up to 10HL per day. 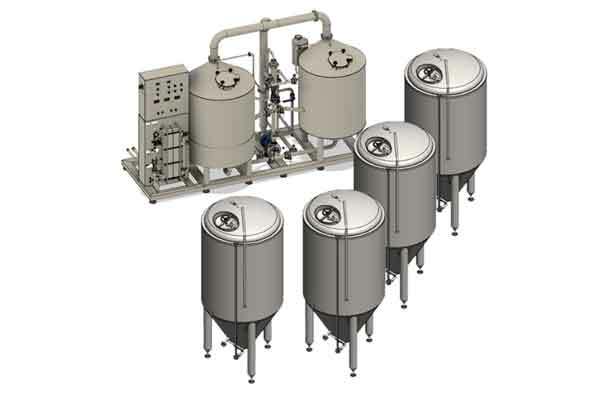 Small brewery system for restaurants with simplified brewhouse wort machine designed to production beer only from malt concentrate, not from malt. Capacity from 3HL to 30HL per day. Microbreweries for restaurants based on luxury brewhouse wort machine with traditional Czech design - stailess steel core and copper covers. 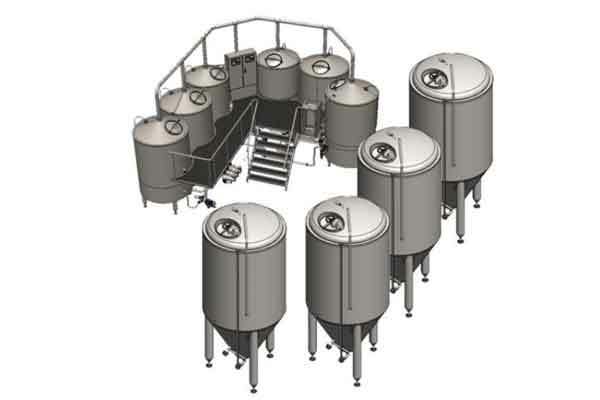 Beer production capacity from 3HL up to 40HL per day. 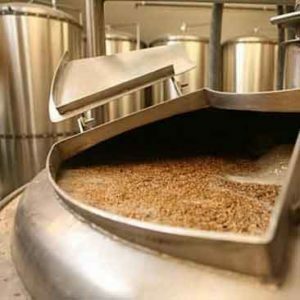 Small breweries with simplified brewhouse wort machine allow the production of beer only from malt concentrates, not from malt. 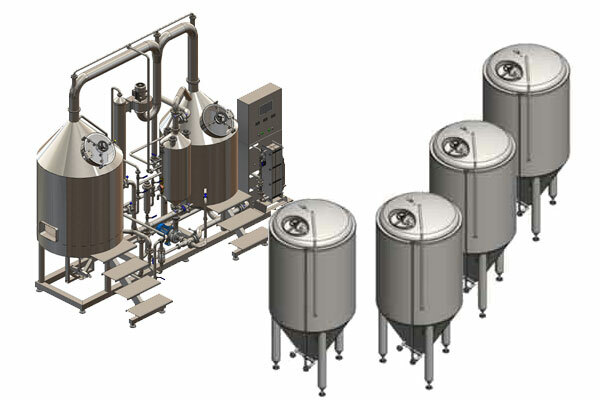 Low purchase cost and high production capacity from 3HL up to 10HL of beer per day. Small compact breweries with simplified brewhouse wort machine allow the production of beer from traditional ingrediences. 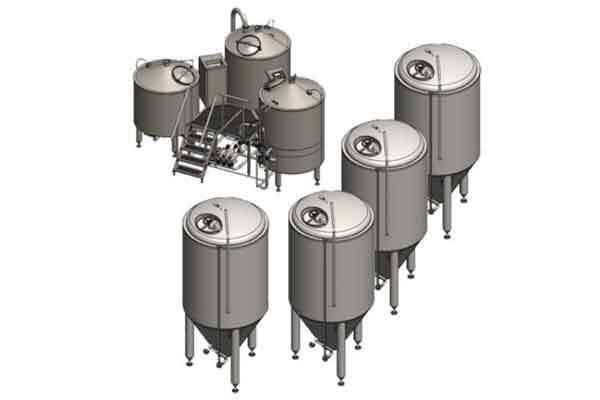 Low purchase cost and high production capacity from 3HL up to 10HL of beer per day. 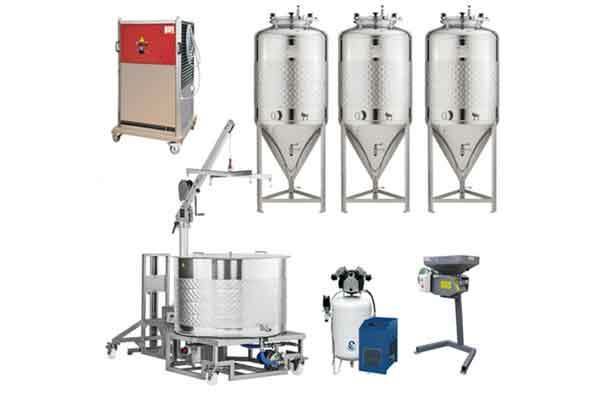 Professional industrial brewery system consists of three-vessel brewhouse machine and conical fermentors with all beer production equipment and accessories. Beer production capacity from 10HL up to 100HL of per day. 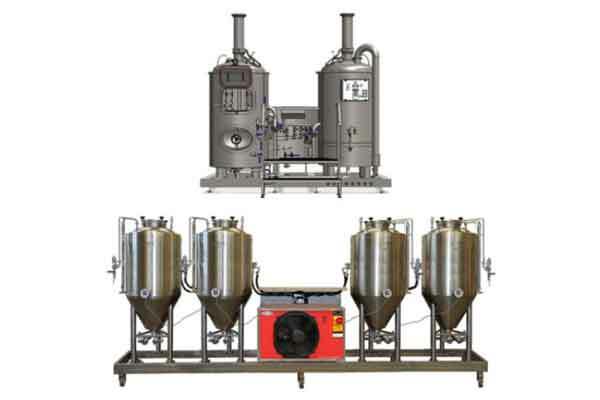 Powerful industrial brewery system consists of the special brewhouse machine with six functional tanks and conical fermentors with all beer production equipment and accessories. Beer production capacity from 40HL up to 300HL of per day. 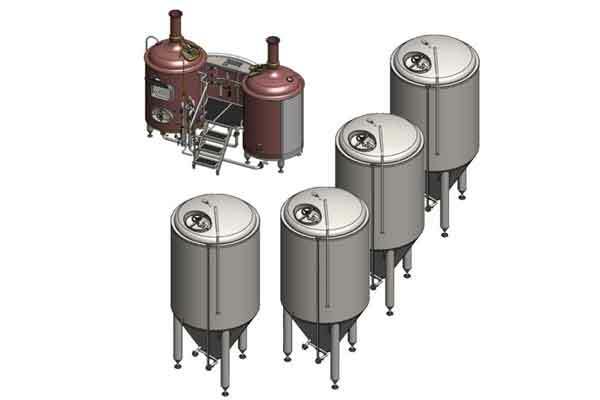 Modular brewery system allows easy installation and start up without our specialists. 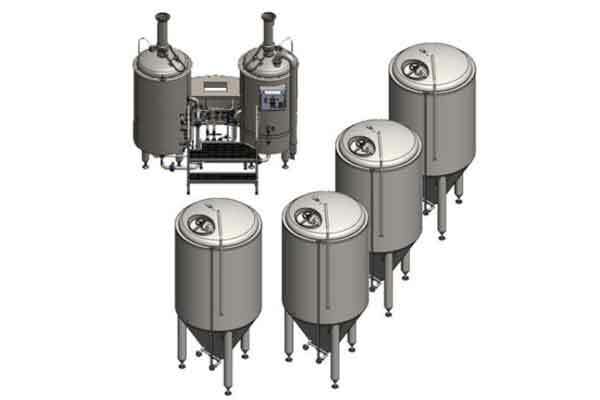 Basic brewing set with production capacity from 3HL up to 10HL is expandable using orderable modular units with beer fermentors.